The music on this CD was captured from a live Via Sinistrae event: The Tower. 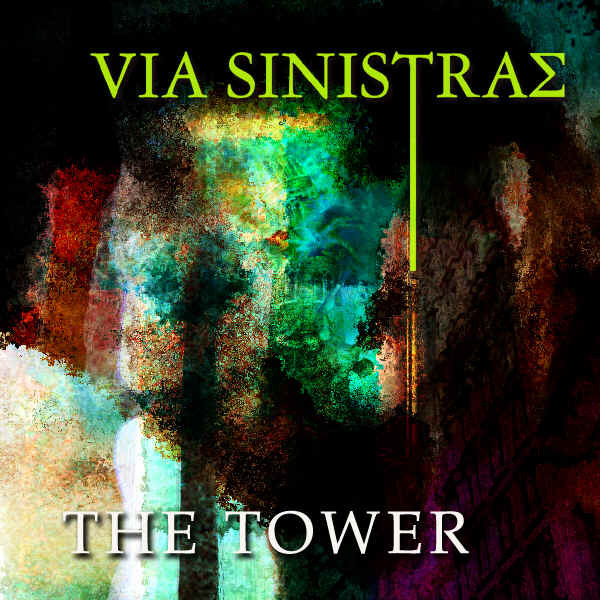 Via Sinistrae is a meeting of several different lineages: the raw shamanic invocation, the structured Western Thelemic tradition, the culture of the rave or underground dance party and interactive performance art. Electronic music verging on noise, stirring vocalizations, and unexpected mutations interact with the pre-linguistic aspect of the listeners psyche, drawing them into the fold. The music continually evolves and changes, forming and reflecting the invocation. True to the spirit of the live ritual, this music demolishes standardized forms and electrifies the senses. Here's a fragment from an independent review of "The Tower" from Heathen Harvest. "Normally Id comment on the fact that there are nineteen untitled tracks on this release. Normally Id say something scathing along the lines of lack of imagination. Normally. However, this isnt so much nineteen untitled tracks, more like one track split into nineteen parts. And as for lack of imagination, perish the thought, having listened to this a goodly number of times now a lack of anything just doesnt come into the equation. As previously stated, this not the sort of release I would choose to listen to, and my initial thoughts regarding the whole were to say the least, negative. Im glad to say my preconceptions have been washed away, my views on this style of music completely upended. Its not very often I can say this about music but in this case Im happy, very happy to do so. Take this as a high recommendation indeed. Locate and listen to this release, better yet, locate and attend a live performance should the chance arise. Not only will you experience something unique and special, youll also make me very, very envious indeed. Ive gushed enough over The Tower, what more can I say? I leave it the discerning music fan to discover for themselves why this so special, and by discerning music fan I mean everyone. What are you waiting for?"